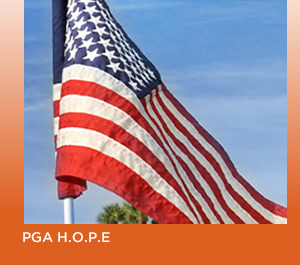 The PGA Foundation is the charitable arm of The Professional Golfers Association of America. Founded in 1978, our mission is to positively impact the lives of youth, military veterans, and diverse populations through the creation and utilization of golf programming that supports education, health and wellness, and youth development. Driven by these beliefs, we create and support golf programming for at-risk youth, and we strive to make golf inclusive of people from all cultural and ethnic backgrounds and for individuals with disabilities. For more information please visit PGA.com, or feel free to contact us directly.